Rare Started Testing Crossplay In Sea of Thieves; "Platform Is A Barrier That Shouldn't Exist"
In the latest Tales from the Tavern Podcast, Rare revealed that this Wednesday they held the first proper internal test for crossplay in Sea of Thieves between Windows 10 PC and Xbox One systems. Back at Gamescom 2016, Rare’s Lead Designer Mike Chapman told me he was confident about it though he could not definitively confirm it would be in the game. As a game, Sea of Thieves is so suited, I believe, to crossplay as an experience. We’ve talked about this a lot, we’ve always said we want to test it, we want to feel it. That’s definitely something we want to be rolling out to the community to test. But I sent an email to the team saying how great it was, because it was just seamless. You wouldn’t even notice it – you’re just there, playing with people on PC and Xbox One and that just opens up so many possibilities. Honestly, it feels so right for our experience. It just knocks down barriers. I think that last part is something we’re taking to heart through a lot of decisions we’re making across the game. Whether it’s progression, long-term, no barriers in place to play with friends, but also making friends in the game and platform is another barrier that shouldn’t exist. Truth to be told, Microsoft seems to be pushing harder than Sony these days to enable crossplay between PC and console, particularly with the growing Xbox Play Anywhere program. In fact, The Coalition announced last month that Gears of War 4 will get Ranked Crossplay later this year in addition to Social Crossplay which is already available. The first external Alpha tests for Sea of Thieves on PC should begin very soon. 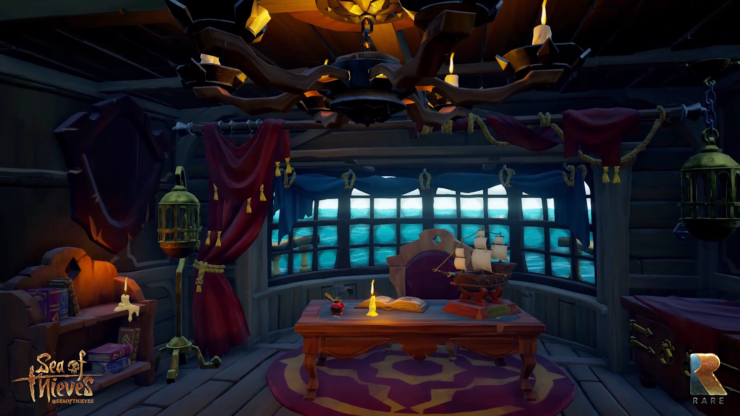 Rare announced they’ll start with a small pool of testers that will be gradually expanded, so don’t fret if you’re not invited yet. We should also get more information on the game’s future plans, including possibly a roadmap to beta, at Microsoft’s E3 2017 Briefing next month. Stay tuned for all the latest on Sea of Thieves.